Mouthguards are essential for any athlete. 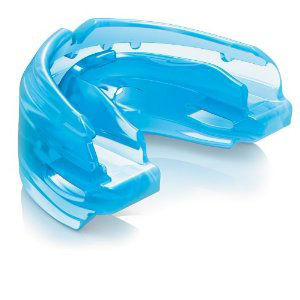 The three basic types of mouthguards are the pre-made mouthguard, the “boil-and-bite” fitted mouthguard, and a custom-made mouthguard from your dentist. When you choose a mouthguard, be sure to pick one that’s comfortable and does not prevent you from breathing properly. At Grateful Dental Of Geneva, we offer every patient a mouthguard that’s especially made to fit your teeth with braces.